A tight fit 5/8" Mosaic tile that has polished and rock-faced stone random strips. The sheets knit together and do not require grout. 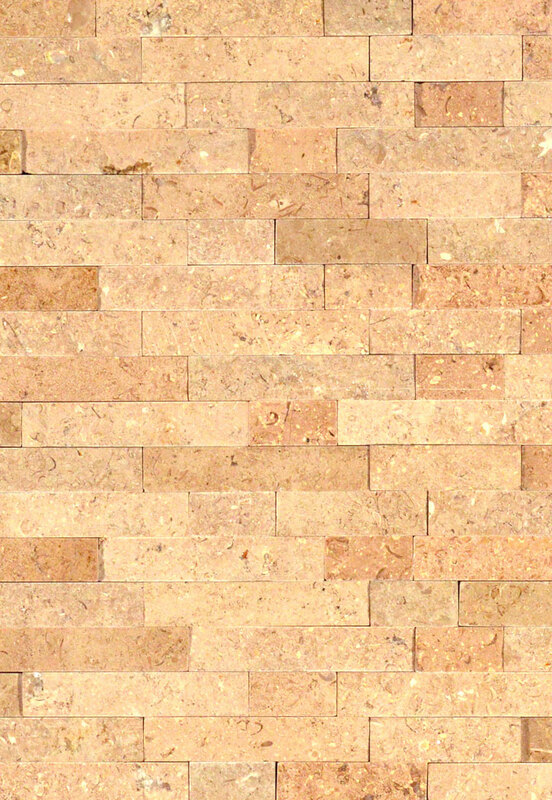 The polished and rock faced tiles create depth and dimension for any wall project.